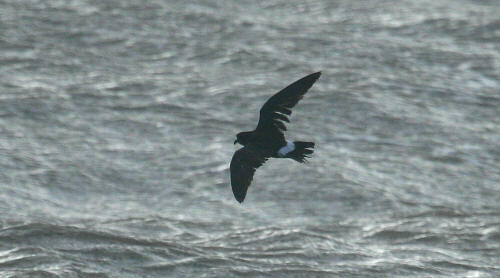 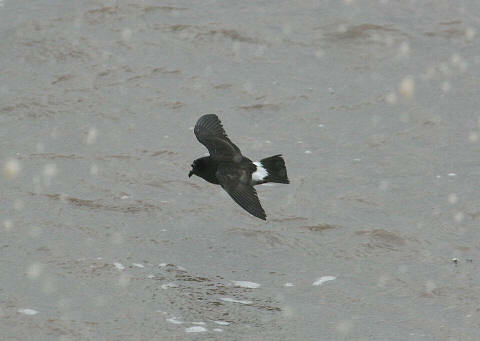 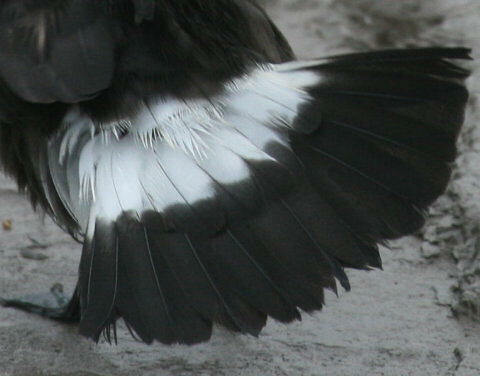 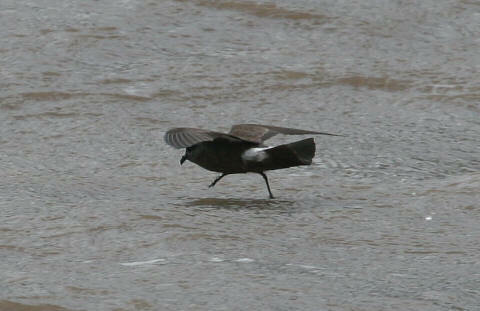 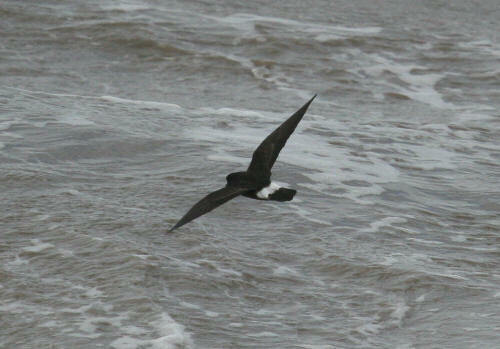 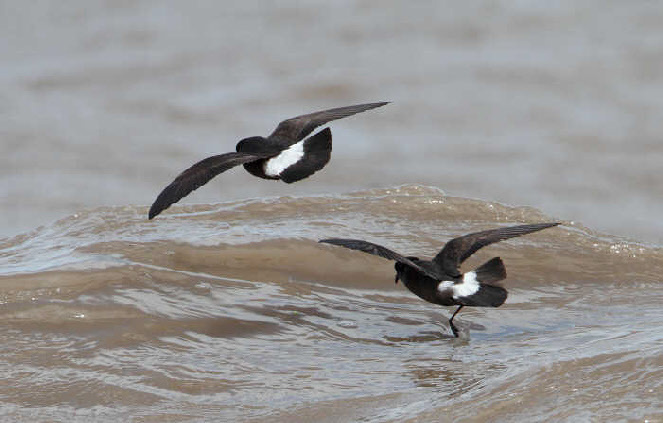 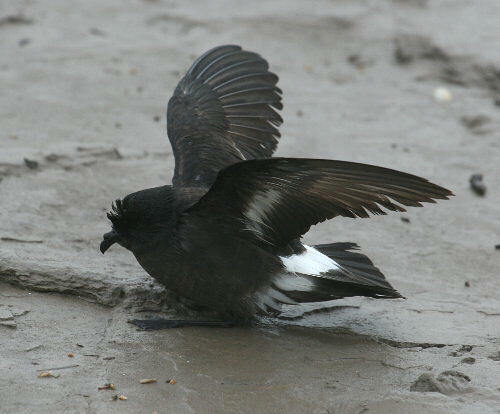 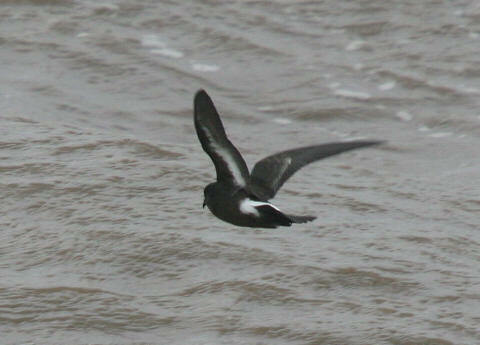 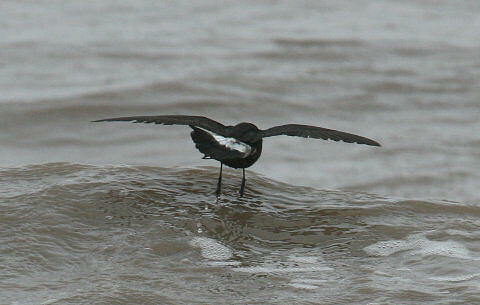 One or two Storm Petrels occur most years on Severnside in association with West or South West gales. 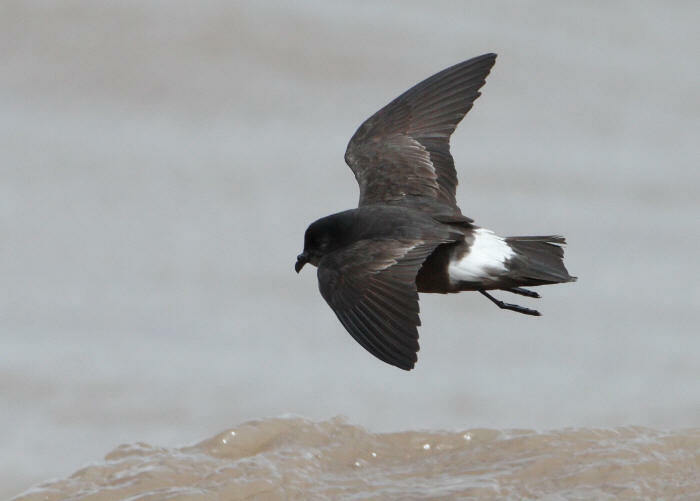 They have been seen in every month except March with most records being during the Summer and early Autumn. 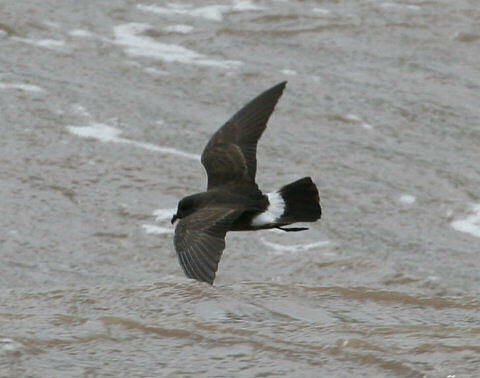 The highest counts involved 30+ birds off Severn Beach in June 2012. 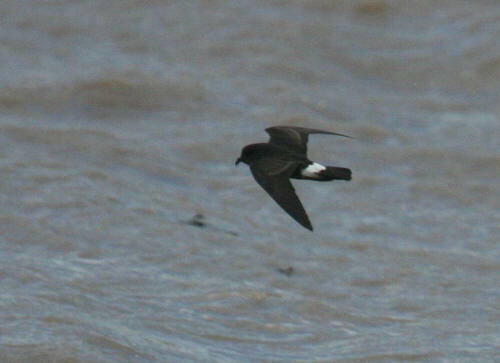 The best place to look for them is in the “burger bar bay” at Severn Beach, just below the 2nd Severn Crossing. 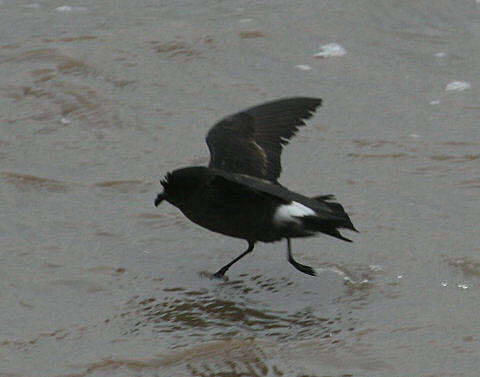 They often attract the attention of large Gulls so look for any unusual Gull behaviour on windy days and you might find one. 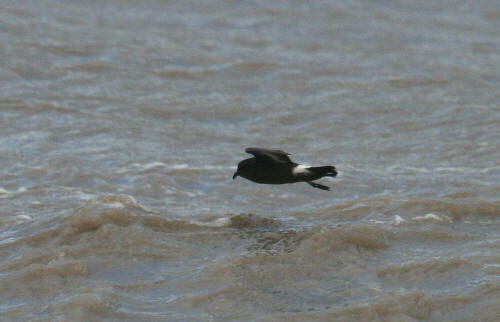 Be warned that you may be looking too far out as they often fly very close to the shore below the sea wall. 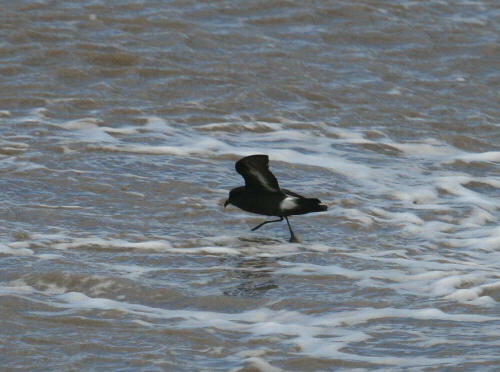 Below are some of many pictures I have managed to take in windy weather of these tiny seabirds in 2007 and 2008 plus some stunning images by Richard Andrews in June 2012.